A painting of the vast wilderness and extreme temperatures but warmth is found in the two companions as they journey on this cold day. Painted in black and white, except for the pop of color on the hunter’s coat. This painting shows no matter the situation love can be found among true friends. 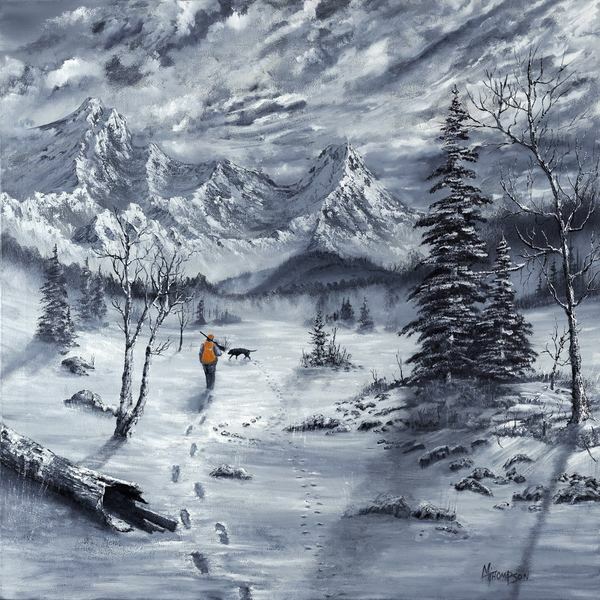 Hunting Buddies winter painting a man with his faithful friend his loving dog.